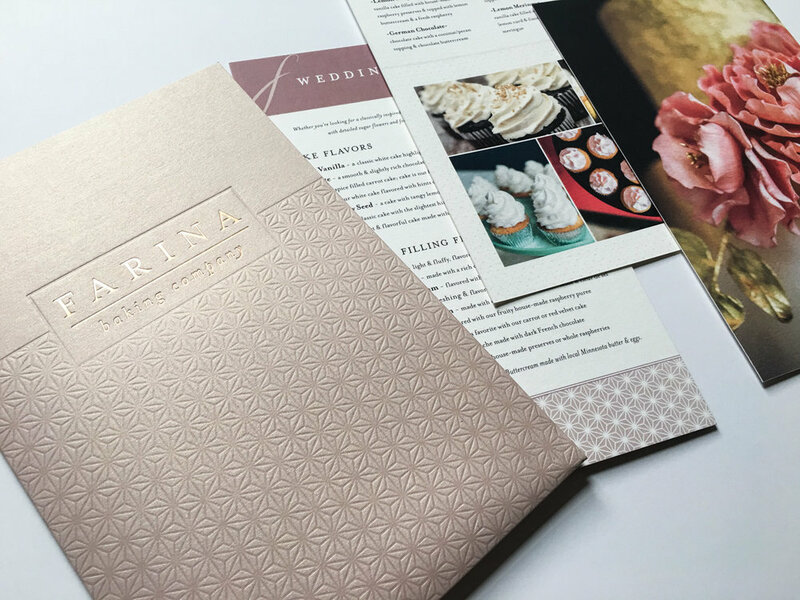 Farina Baking Company is a bakery crafting exceptional cakes, cookies, and treats for clients around the Twin Cities. They were in need of a new logo and website that would reflect their attention to detail and high quality of work. What sets Farina Baking Company apart and above other bakeries in the Twin Cities is an incredible intention to the craft and art of baking. Their wedding cakes feature amazingly detailed sugar flowers, beautifully painted fondants, and other delights that often look too good to eat. 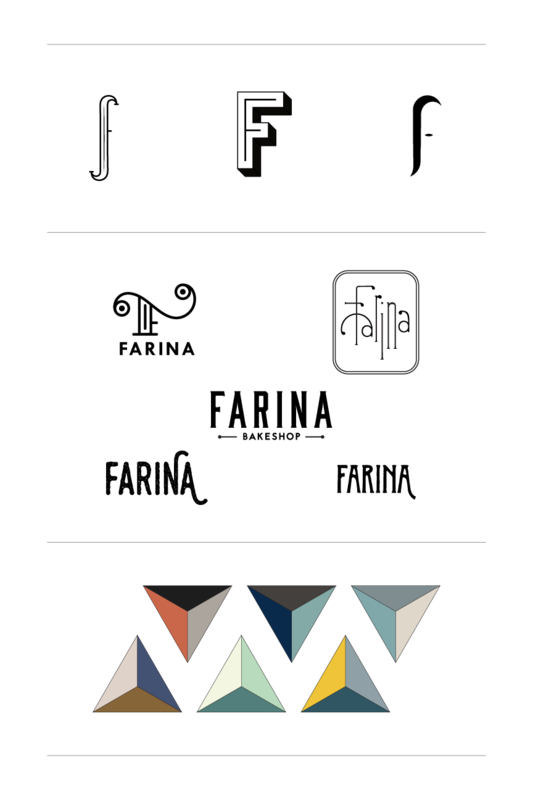 The complexity and beauty of their work was something that simply wasn't present in their previous identity. 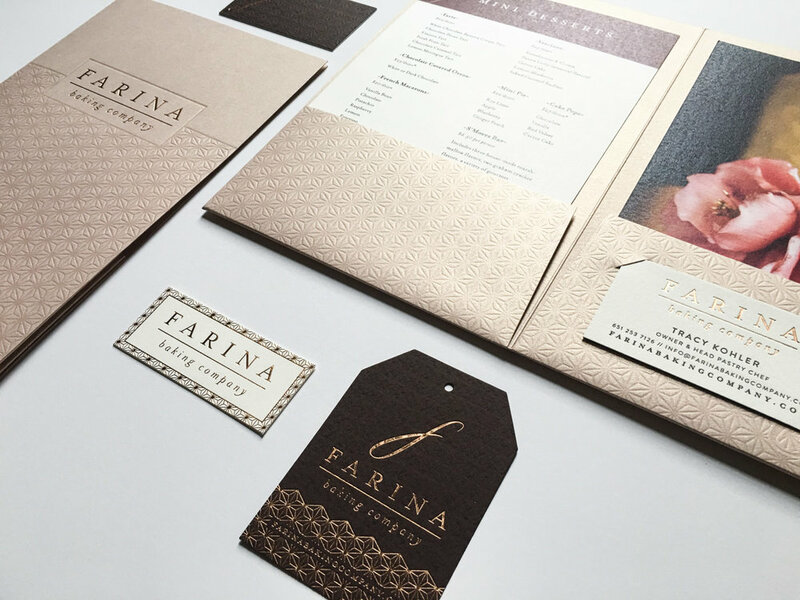 The challenge was to create an identity system that could stand alongside and compliment their beautiful work online, on a menu, or on their delivery vehicle. 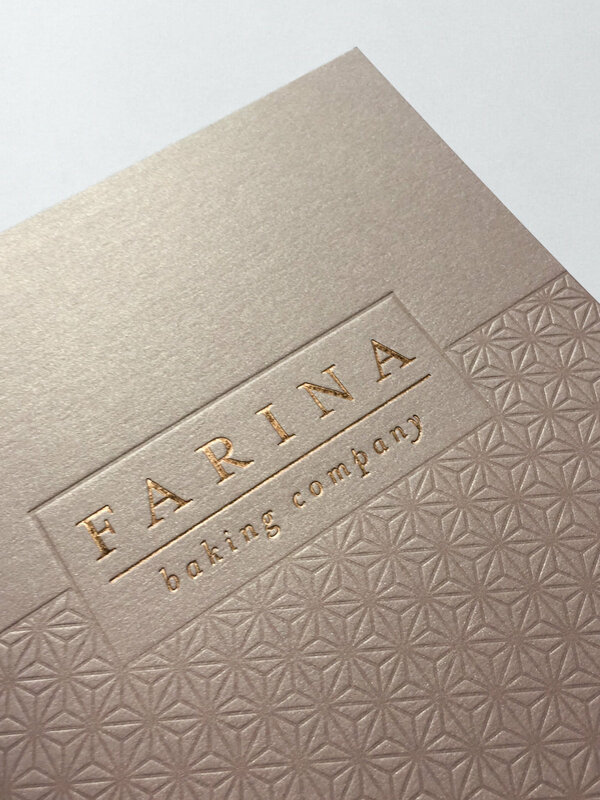 Farina Baking Company was completely unattached to their original logo, so we were free to explore several concepts around some of the key characteristics of their company. 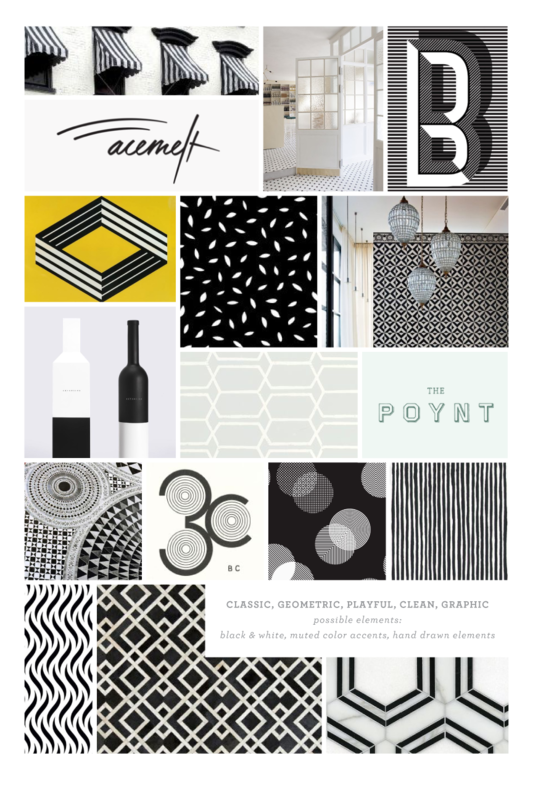 Competitor research and a delve into classic, romantic, and European inspired elements informed an identity system that brought the elegance of their work to the forefront. 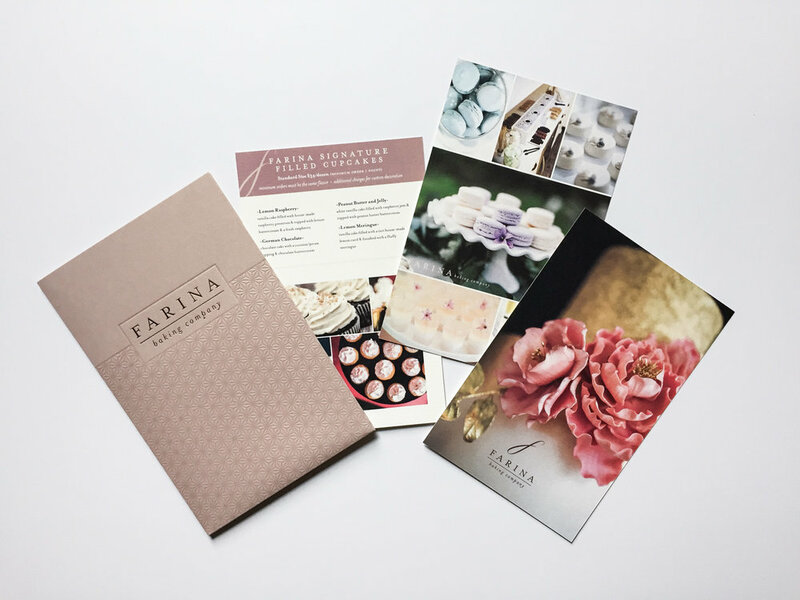 Letterpressed and foil stamped collateral further elevated the brand and provided inspiration for the brand colors and web design.